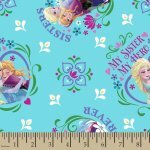 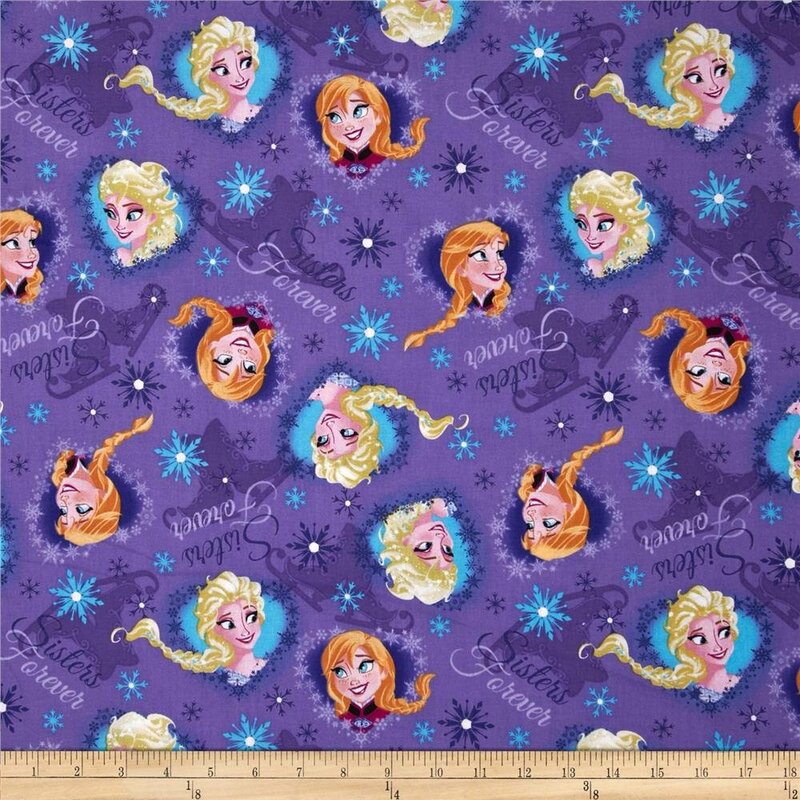 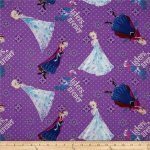 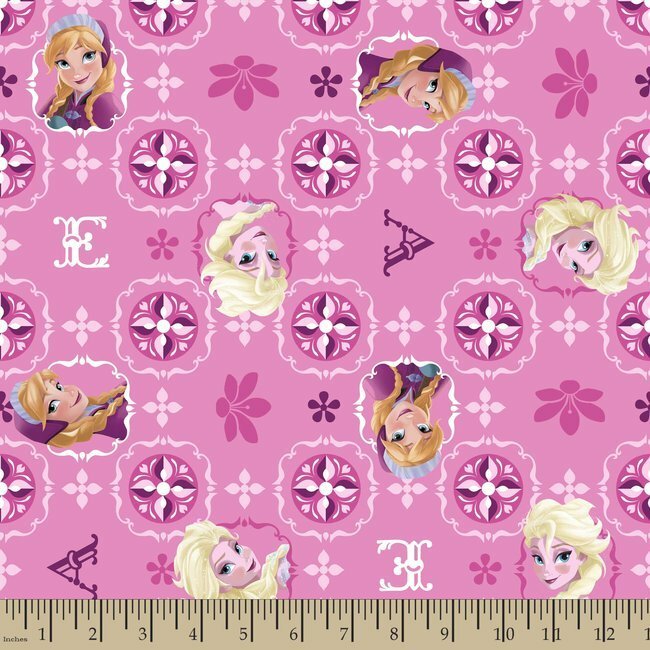 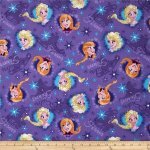 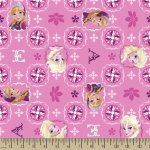 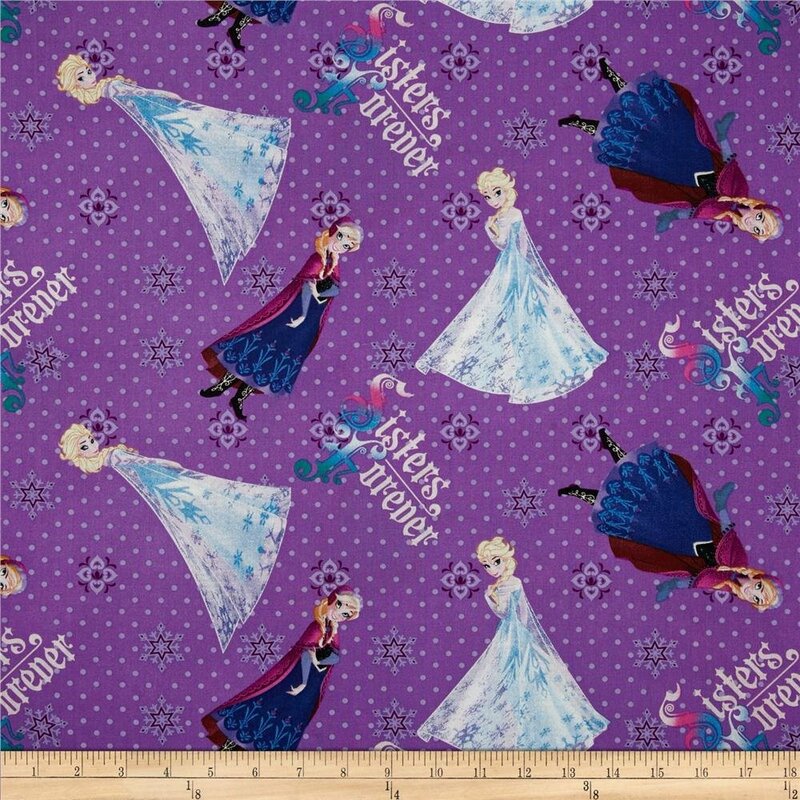 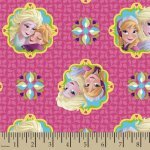 Elsa and Anna pink sparkle patch design. 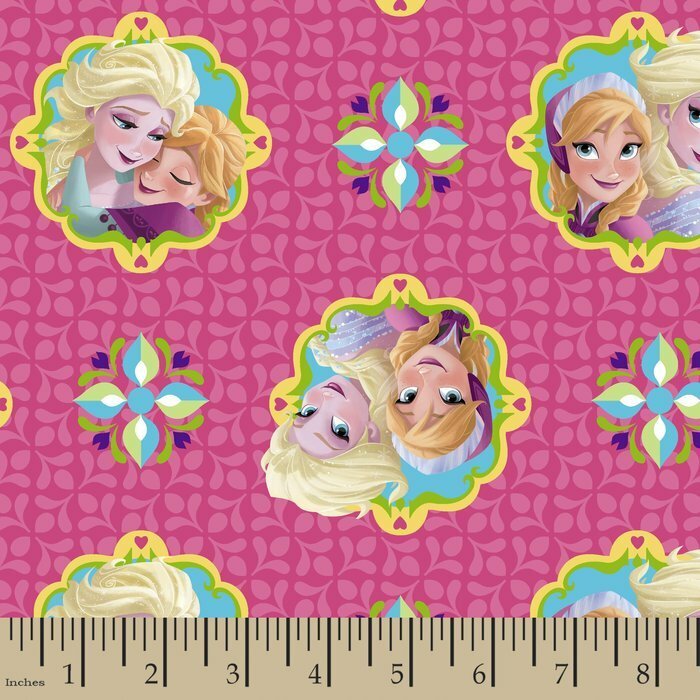 A pink tone on tone background features Anna and Elsa in framed pictures. 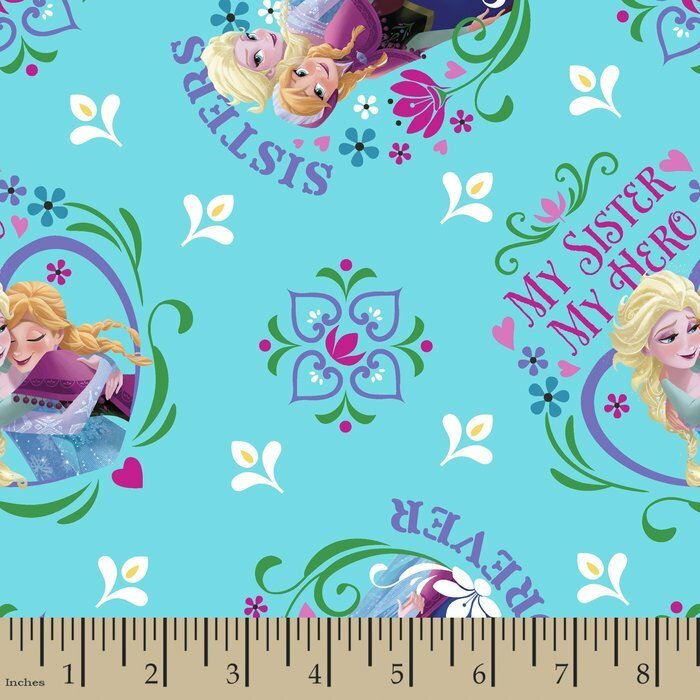 Frozen cameos of Elsa and Anna and Olaf on a blue background with snowflakes. 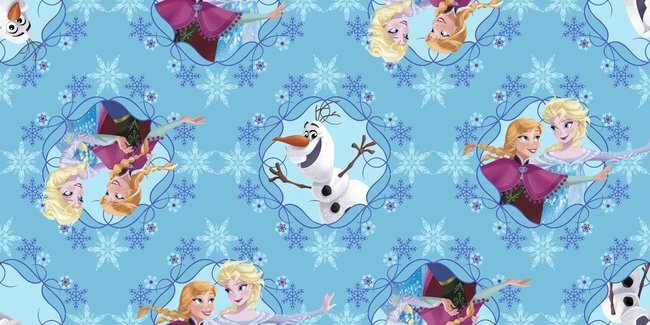 Frozen character scenes. 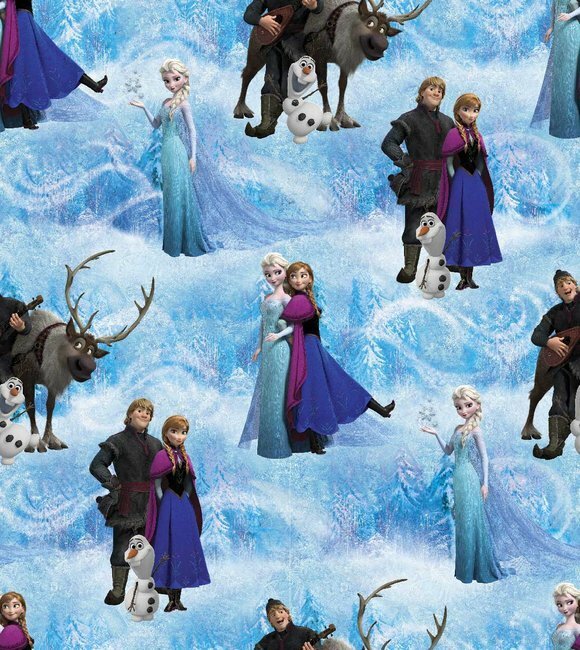 One scene has Anna and Elsa and the other scene features Ola,f Sven and Hans on blue background with swirling snow. 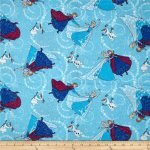 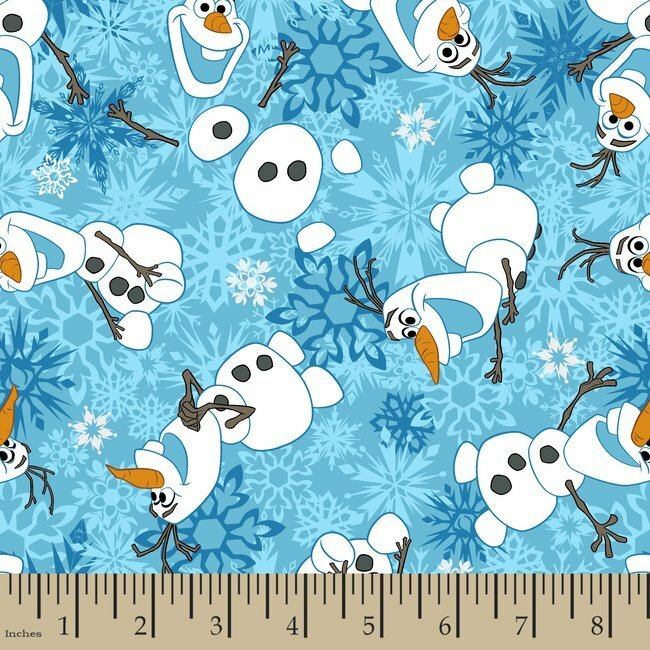 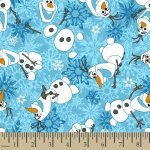 This Frozen fabric features Olaf dancing, sitting, and laying down on a background of ice blue snowflakes. 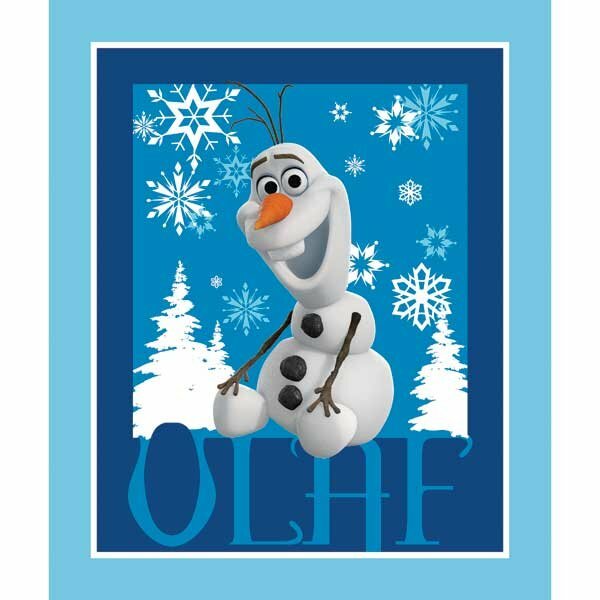 Olaf in a one yard panel.